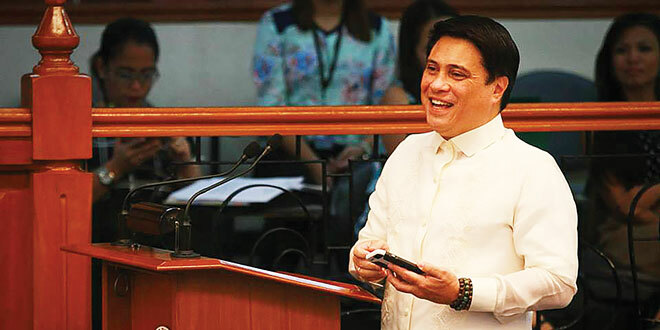 Senator Juan Miguel Zubiri has been appointed as chairman of the organizing committee of the 2019 Southeast Asian (Sea) Games, which the Philippines will host for the fourth time since 1981. Philippine Olympic Committee (POC) media head Robert Mananquil said Zubiri was formally appointed by President Duterte. In a telephone interview with PNA, Mananquil welcomed the appointment, saying it was POC president Jose Cojuangco Jr. who confirmed to him the designation of Sen. Zubiri. Mananquil said they are expecting to hold a meeting with Zubiri this week. Based on records, it was in 2005 when the Philippines last hosted the biennial meet and emerged as the over-all champion. The Philippines first hosted the regional sports meet in 1981. This was followed in 1991 when Mt. Pinatubo erupted, and a year after the killer earthquake struck Luzon. The 1991 Games demonstrated the Filipinos’ resiliency and determination to rise above calamities and extreme disasters. The Philippines was formally admitted to join the regional sports meet in 1977, the year its predecessor – the Southeast Asian Peninsular Games (Seap) – changed its name to Southeast Asian Games or Sea Games.